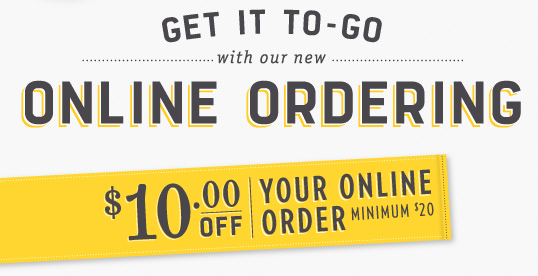 Macaroni Grill is offering $10 off any $20+ To-Go order placed online when you use coupon code RMGTOGO at checkout. This offer is valid through November 6, 2012. Wish we had one closer. I cashed in my mycokerewards for $5 gift cards to Macaroni Grill when they were offering them a while back, and used them to bring down a price of a date meal for my husband and I last time we were in Indy. We loved the place! and now want to go again. What is the etiquite for tipping on a to-go order?